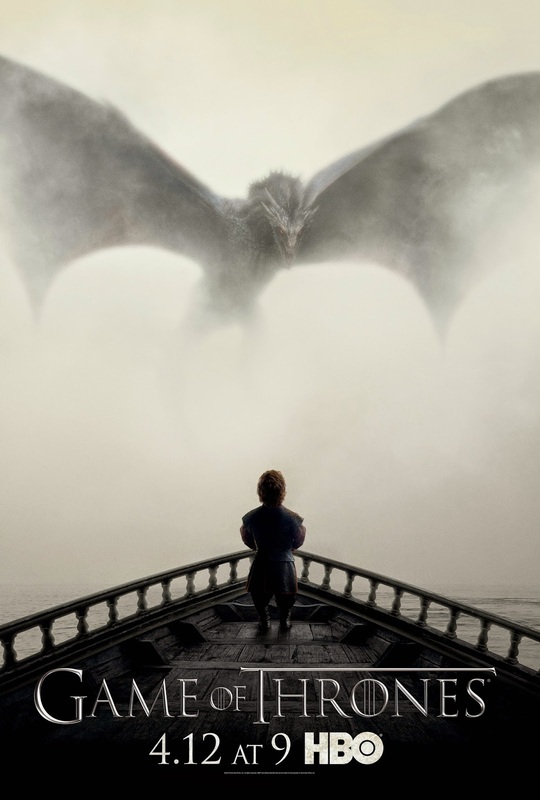 In two short weeks, the wait will be over as Game of Thrones returns to HBO for the premiere of its fifth season. As part of the 39th Annual Atlanta Film Festival, HBO brought an early premiere screening to the historic Fox Theater, as perfect a venue for the show as any with its regal Egyptian style and starry ceiling. 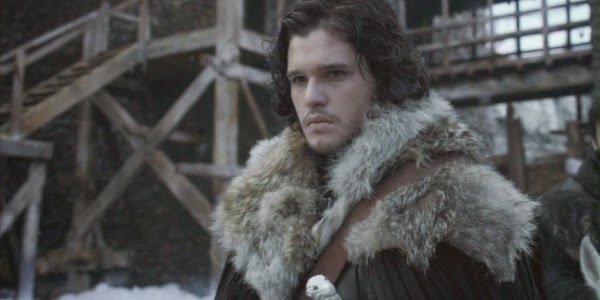 Many critics claimed the fourth season's finale was among the series' best, with many of the biggest threads in the story coming to their conclusion or advancing in an enticingly significant way that has left the show's many fans waiting impatiently for its return; could this opening episode live up to the hype? The episode begins with a flashback that we gradually learn to be Cersei's: as a young girl, she forces a witch to tell her future, in which she is told she is a queen, but only for a time until a younger woman takes it away from her. In the present, she berates Jamie for his support of Tyrion as their father lies dead, and she worries about the Lannister's place with Tywin gone. 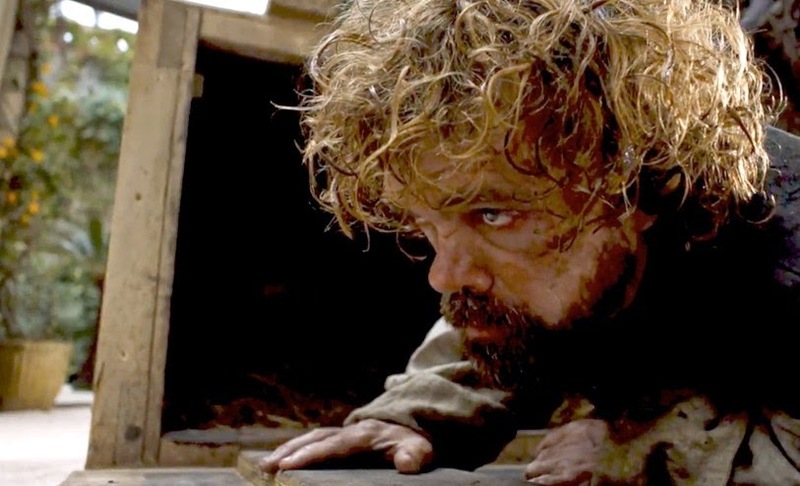 Meanwhile, Tyrion has all but given up on the world, but hesitantly agrees to follow Varys to meet with Daenerys in support of her quest for the Iron Throne. Meanwhile, Daenerys is convinced that she needs a show of force that can only be achieved through her dragons, but finds them wild and terrifying in their imprisonment. Perhaps the biggest advancement in the story comes with Jon Snow and the wall: Jon cannot convince Rayder, the "King Beyond the Wall" to kneel before Stannis, even to save his life, and the episode ends with a dramatic moment of mercy as Rayder meets his fate. That final scene is definitely the highlight of the episode. It is painful to watch, but gives us a great piece of character building for Jon Snow. Without giving it away, it's an action that doesn't defy Stannis, but certainly voices Jon's contempt for his methods. It leaves the captured Wildlings in a dangerous position, and really puts that side of the story in an interesting spot to continue through this season as we'll see how Stannis's harsh rule will change the Crows at the Wall. Otherwise, this episode falls into the same trap that most episodes of Game of Thrones do; because there are so many story threads, each episode is only able to cover a very small amount of ground. For the most part, the episode feels like a recap: Cersei, Jamie, Sansa, Little Finger, Brienne, and Daenarys are all left in virtually identical situations to the ones last season left off with. That isn't even mentioning Arya or Brant, who's plots are arguably the most intriguing but who are not touched on at all in this episode. Of course, a story like Game of Thrones is played out on a grand scale, and that requires time. While over a whole season we get an epic thrill ride, the individual episodes are unfortunately often largely forgettable, save for a few key moments that really push the plot forward or build character. The premiere does gives us just a little bit of an idea of where this season will go: the Lannister's rule seems as precarious as ever as one of their own moves towards Meereen in maybe the most interesting possible partnership of Daenerys and Tyrion, and Jon may have to make yet another difficult choice in where is allegiance lies. Overall, however, this episode doesn't inspire nearly as much excitement or intrigue as the finale that preceded. Here's to hoping to a season that spends more time advancing the plot of the most important threads rather than only giving us a few minutes of seven different stories in each chapter.